Choice of products to combat annoying and dangerous fleas and ants in online Health store "Zdravnitza". BugAway Magnum gel for ants is ready to use and easy to implement. The gel is located in airtight capsules. This keeps fresh for a long time. 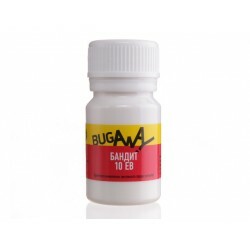 BugAway Dobol 2 MG is an extremely effective lure that the ants carry in their nests and feed the larvae and the queen. BugAway Bandit is a powerful preparation proved its effectiveness over time, which kills ticks and fleas and gives them a chance to sleep in lawns.